Robert Calvert was born in Pretoria, South Africa in 1945, and moved with his family to England in 1947. Whilst always having a fondness for poetry, his initial dream was to become a fighter pilot - a dream which would not be realised due to an eardrum defect. As a result he pursued his talents for poetry and writing, and became involved in the late 60s London underground, rubbing shoulders with writers for the magazine 'Frendz', and budding science fiction authors such as Michael Moorcock. It is through these underground channels that Robert first had his poems published. In 1970, he met Dave Brock of HAWKWIND and his career as a singer/frontman started in earnest, as he joined the band as their resident poet who would read his work whilst the band improvised around him, and as their lead vocalist on tour. He would co-write some of HAWKWIND'S early hits, such as "Silver Machine" and "Urban Guerrilla". To get away from the stress of touring and concentrate on solo ventures, Robert left Hawkwind in 1973 and released his first solo album, "Captain Lockheed & The Starfighters" in 1974 - a concept album about the West German Government purchasing Lockheed Starfighter jets which killed off a lot of their pilots due to technical faults. 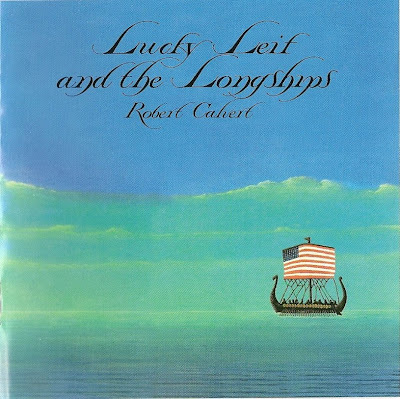 The album, with its blend of space rock and black comedy was well received, and in 1975 Robert released his second effort, "Lucky Leif & The Longships". The album took its inspiration from a blend of American history and the Vikings, and was made with help from Brian ENO. Robert then rejoined HAWKWIND at the end of 1975, and became an even bigger influence on their sound - steering them in a more modern direction, and becoming notorious for the theatrical nature of his performances. His influence on the band can be seen in the album "Quark, Strangeness and Charm", for which he wrote all the lyrics. Robert would remain as HAWKWIND singer until 1978, when he left for good. Robert's next studio recording would be in 1982, "Hype" (the novel of which was released at the same time) - a concept album about a naive young rock star. Even with some inventive songwriting and biting irony, the album is not a huge seller, much like his 1984 effort, "Freq" which is inspired by the concept of the relationship between man and mechanization, and the 1980s miner strikes in England. Robert's last solo album would be 1986's "Test Tube Conceived", an album similar in theme to "Freq" with its songs about robots, machines, and the existential experience of being 'On-Line'. Once again, Robert proved he was ahead of his time, but perhaps too much so as commercial success would not follow in its wake. Whilst preparing for a new album and tour with his band 'The Starfighters' Robert Calvert died from a heart attack on the 14th of August, 1988 - leaving behind a wealth of unpublished material, and an amazing (if rather small) progressive music career. His best recording is certainly "Captain Lockheed & The Starfighters" and is the ideal place for new fans to start. His music is a mix of poetry and space rock, but with an almost pre-punk edge to it which would appeal to fans of bands such as HAWKWIND or the PINK FAIRIES - highly recommended to fans of space rock and the London underground.